E300 Training Bricks-- 2018 Dates Coming Soon! Each brick will consist of a 3 Mile Open Water Swim, 80+mi Bike Ride, and 10+mi Run! 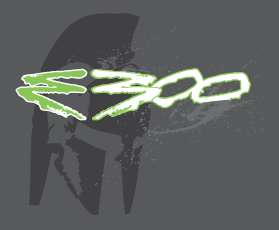 Participants who finish all 300 miles will not only be legendary, they will be immortalized…and most importantly, receive a long-sleeve, tri-blend, t-shirt hoodie to immortalize their legendary status. WHAT E300 IS: E300 Training Bricks are informal training sessions to help athletes, preparing for long course triathlons, progress with their training and to dial in with any/all equipment and fueling concerns under race like conditions. E300 Training Bricks are NOT sanctioned nor supported racing events. They are not timed nor split. There are no podiums, awards, or carpeted finish lines. There will be no officials on course directing traffic. There are no volunteers on course. Athletes are responsible for all aspects of timing and recording distance. Athletes need to arrive with equipment in working condition and bring any/all fuel they need for the duration of the brick. Bike course is a multi loop course, subject to change. These are open roads. Cyclists must obey all traffic laws and be mindful of traffic. Run course is a multi loop out-n-back course through the neighborhood that surrounds the lake. Transitions will be held at each person's own vehicle. There is no formal transition area. Athletes are encouraged to go at their own pace. This is not a group ride. Coolers full of ice water will be provided. All other forms of fuel and hydration is not provided. Athletes are not required to 'stick around' after they complete their distance to wait for all athletes to finish. Please be respectful to the residents of the neighborhood. No refunds-- all registrations are final.